The D*AP4 VAP Voice Processor. Jünger Audio reached its 25th year in business this year but, unlike other broadcast equipment manufacturers hitting similar milestones, did not make a big fuss about it during IBC 2015. Instead it concentrated on two major technology announcements that tie in with major trends in the TV industry today: immersive audio and automation. These developments mark collaborations with research institute Fraunhofer IIS and graphics/studio systems developer Vizrt. They also show how Jünger Audio has moved with the technological times from its early days of designing analogue and then digital compressor-limiter units. Today Jünger Audio is best known for its monitor management, codec and loudness systems. Recently the company shifted from hardware processors to more software-based platforms that could be configured for users' specific requirements. One result of this, the first software version of the Level Magic loudness manager, developed in conjunction with Flux:: sound and picture development, was shown during this year's IBC, along with a new codec version of the D*AP8 Digital Audio Processor, the D*AP4 VAP Voice Processor (pictured above) and the D*AP8 MAP Monitoring Audio Processor. Jünger Audio already offers monitoring and coding for surround sound up to 7.1 channels, including Dolby Digital and Dolby Digital Plus, but is now looking at what international sales manager Anthony Wilkins described as "the next 3D experience". He added that while stereoscopic TV had faded away three dimensional - or spatial, immersive - audio would become an important factor for broadcasting. In anticipation of that Jünger Audio has started development of a Multichannel Monitoring and Authoring (MMA) system for potential 3D sound formats. This will be a combination of hardware and software, with physical units for I/O, decoding, monitor functions and user interfacing, plus a program for control. Jünger Audio has worked in collaboration with Fraunhofer, one of the front-runners in producing a standard for spatial sound, which will give the sensation of height as well as width and depth. Jünger Audio's MMA (Multichannel Monitoring and Authoring) unit for 3D audio. Peter Pörs, managing director of Jünger Audio, said Fraunhofer's MPEG-H proposal for immersive sound, developed with Technicolor and Qualcomm, was a future format but one that would be offered to TV audiences over the next 12 to 18 months. Robert Bleidt, division general manager for Fraunhofer USA, commented that spatial audio would "have an immediate resonance with consumers" but on the professional side what was needed was a way to keep track of the different elements. Jünger Audio's MMA will be able to monitor and audition up to 16 channels, plus the metadata describing the different objects for creating the 3D 'sound picture'. The new system for automating audio operations in live TV production has its origins in a project for German public broadcaster NDR. 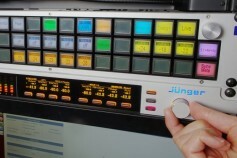 While installing a news studio at the station during 2014, broadcast engineers approached Jünger Audio for a way of automating audio as part of a wider automation set-up for lighting, playout and video based on Viz Mosart. Peter Pörs told Broadcast Bridge that NDR had been using Jünger Audio's loudness controllers "for many years" and then requested a way that would also automate production control for sound. "We worked out that if we used two Level Magics in a row it could work," Pörs explained. "One would handle initial source control with the other for loudness. 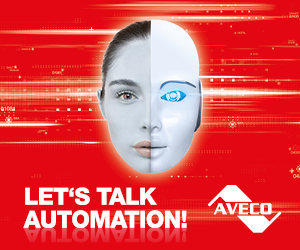 The key to the automation is audio control, so that once everything has been set-up with all the sources - presenter mic, clips, outside feeds - there is no need for anyone to touch anything." Among the processing functions included in the automation are voice treatment, multichannel surround upmixing, audio monitoring, Dolby metadata management and dynamic control, as well as loudness. Pörs said the overall Vizrt automation system "perfectly matched" Jünger's protocol, which uses the Ember+ format to interface with the rest of the production chain. Morten Larsen, head of R&D for studio automation at Vizrt, added that the sound automation was being added to his company's system for playout and lighting control. "We would like to work with Jünger on new projects in the future," he said. Peter Pörs commented that the next installation featuring audio automation would be announced soon. On the issue of automating functions in a live environment, Pörs said that it was something that would not be done for creative, drama mixing but in news, particularly 24-hour services, where the same sources and material would be used several times, it had not proved a problem. 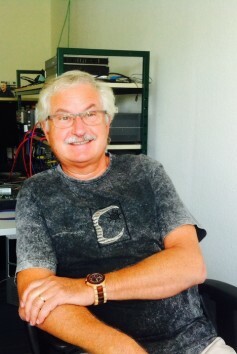 Herbert Jünger, co-founder of Jünger Audio. Jünger Audio has a long association with German broadcasting but its founder, Herbert Jünger, who at the time was living in East Germany (the German Democratic Republic or GDR) got into product design by designing music and instrument electronics for bands he played with during the late 1970s and early 1980s. "I built some equipment and guitar devices," he told me earlier this year. "There was nothing available in the GDR at that time so everything had to be re-built or copied." As American and British technology was difficult, if not impossible, to get hold of in the GDR, Jünger's ability to produce units that could perform the same functions brought him to the attention of TV engineers in the country. In the early 1980s he made the first analogue compressor in East Germany, using components that had been smuggled in using his aunt as a contact. This was followed by the Dynamic Transponder, the algorithm of which formed the basis of the first digital range of products produced by the fledgling Jünger Audio, founded by Herbert and his wife Irmgard in 1990. Among the new company's early products were the D01, D02 and D03 processors, which were used extensively in broadcasting and mastering. Today the company has a development team of around 20 people, producing products that Herbert Jünger acknowledged are more complex and require more development than what were produced originally. "Of our team now only two are working on audio," he said. "The others are involved in user interfaces, networking and interfacing but there are still the same problems which we have to find solutions for."